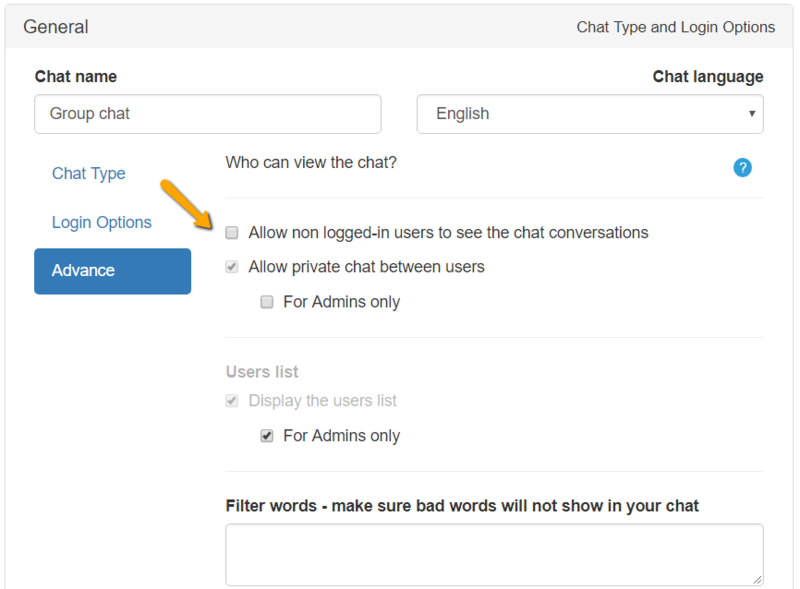 When you want that only logged in users will see the chat, you can set the viewers option to off. Once set, new users opening the chat, will see the login option and not the actual chat. Previous postHow to remove the need for password using JS API? Next postHow to upgrade my SDK version?